Unlike a used home where all of the appliances and products have been used and might need to be repaired or replaced, everything in a new home will be unused and in perfect condition. Best of all, since everything from the roof to the floor is brand new, most features will be under warranty and should not need to be replaced for many years to come. One of the most appealing aspects of buying a new home is that they are much more energy efficient than their older counterparts. Don’t put up with drafty windows, poor insulation or the outrageous energy bills that often come with a used home. Instead, enjoy the comfort and cost savings of a brand-new home. Another extremely beneficial feature of a new home is the improved air quality. The high standards and stringent codes that all new homes are required to follow have resulted in very high quality air filtration and ventilation systems installed in every house. Homeowners who buy new never have to worry about breathing in dirty, moldy, or dusty air that might be circulated through a used home. Today’s modern building techniques and designs are used to build homes that require less maintenance and care. Open floor plans, high ceilings, and appliances with advanced technology have made taking care of a house easier than ever. This can lead to less frustration, reduced stress, and an overall improvement in the quality of life. Perhaps most importantly, a new home offers the safety and security a homeowner expects from their investment. Homeowners who buy a new home can rest assured they will be safe with new circuit breakers, highly efficient furnaces, environmentally friendly air conditioners and non-toxic paint. Buying a home is the one of the biggest and most important investments you’ll ever make. Before making your decision to buy a new vs. used home, take time to consider the benefits listed above. 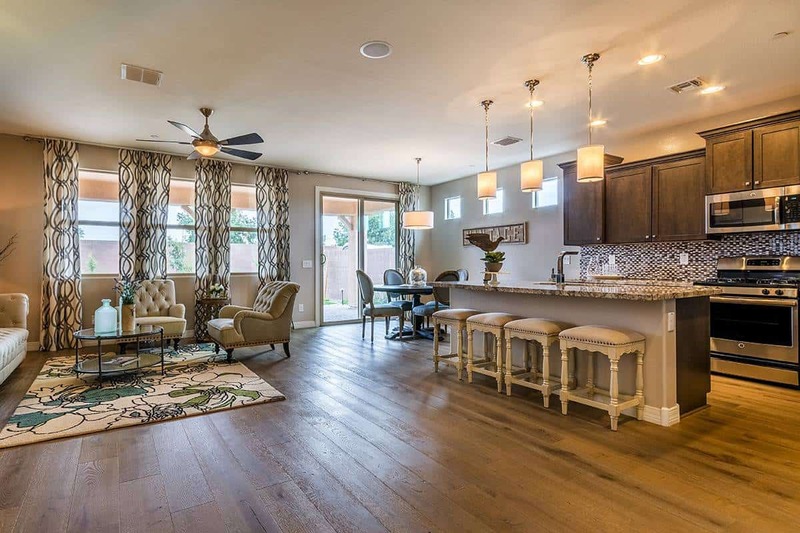 With over 75 years of building experience, Porchlight Homes is dedicated to helping people turn their dream home into a reality by offering high-quality, brand-new homes at unbeatable prices.